Mangalam Charitable Foundation is a non profitable, non religious organization working for noble cause of the society. Object of foundation is to provide scholarship, text book, medical help etc to underprivileged. 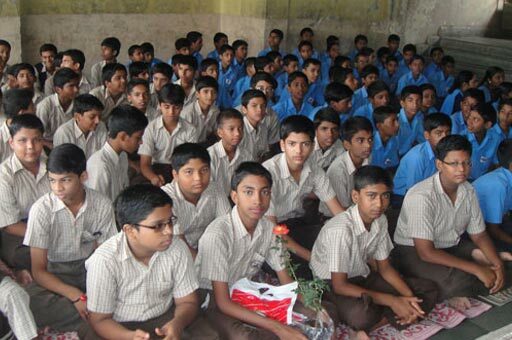 Mangalam has vision to help the poor children who are unable to continue their studies due to financial crisis. It is proposed to provide them love, affection, courage and finance to develop within the society. Small donation may bring fortune to them. Foundation has invited application for scholarship to underprivileged class XI students passing the board examination in the year 2012. Large number of applications have been received from meritorious poor candidate who can not afford to continue their education for class XI. Few selected meritorious candidates are being awarded the tuition fee directly to their school. We approach our donors to come forward and donate directly to the schools in their name or through our foundation for the noble cause of the society. You may kindly visit our website www.mangalamfoundation.org and send the donation to our banker - Corporation Bank, Vashi, Navi Mumbai for direct credit to our account number CA01005472-IFSC Code- CORP0000708 in favour of "MANGALAM CHARITABLE FOUNDATION" or DD/Cheque to be sent to 702, Neelsidhi Enclave, Sector 14, Vashi, Navi Mumbai-400703. Certificate under 80G of IT Act is issued for all donations. Child sponsorship is not just giving money but matter is to get involved in relationship, your time, love and affection. The name of selected genuine, meritorious, poor candidates for scholarship will be forwarded for sponsorship by you.